January 14, 2019 • 3180 × 3259 • Happy 2019! 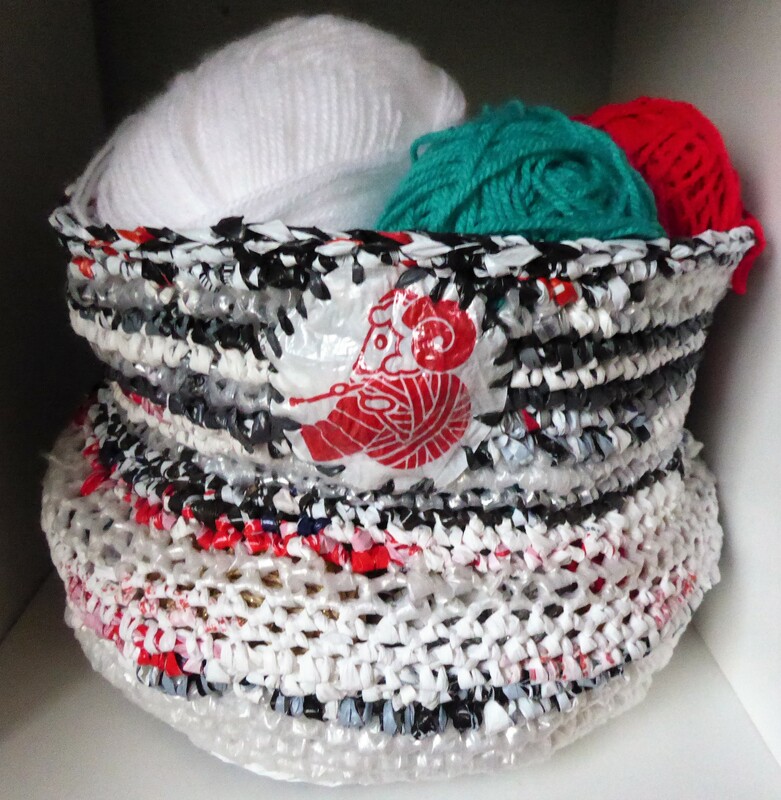 Plarn basket #3. Made with bags from Japanese craft shop. Tried out new technique for reinforcing the sides. Used lamination to stiffen Yuzawaya logos before stitching them on. Wove ends in. Looks nice, but takes forever.